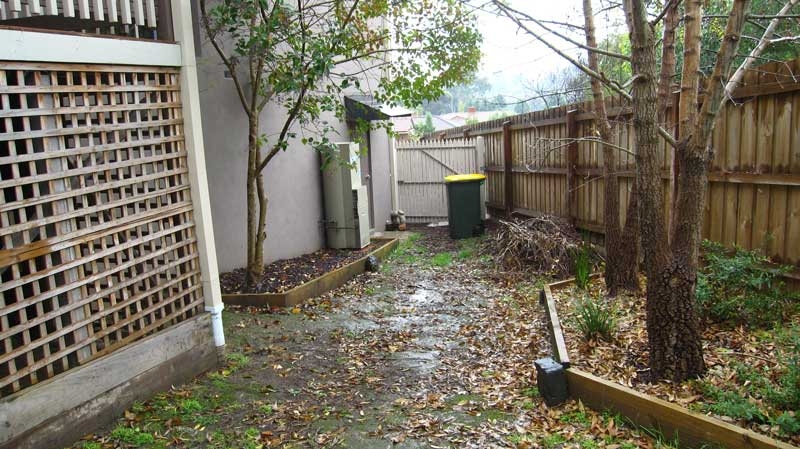 This Eltham home is situated on a sloping block that was experiencing water erosion on rainy days. 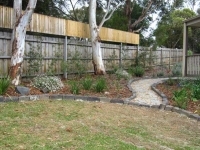 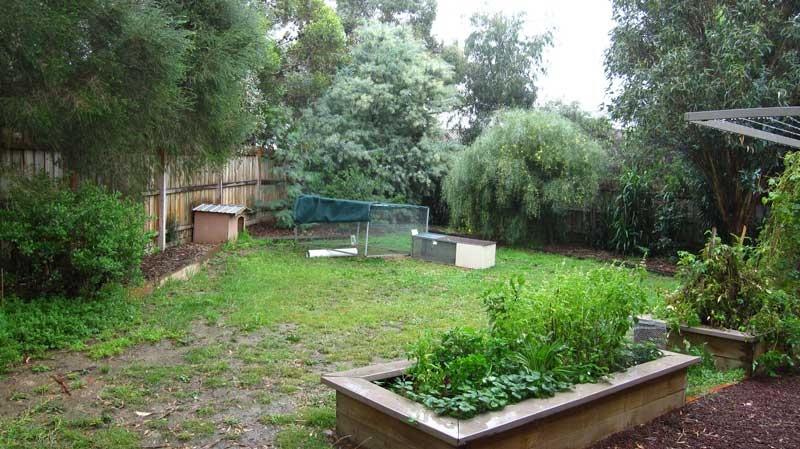 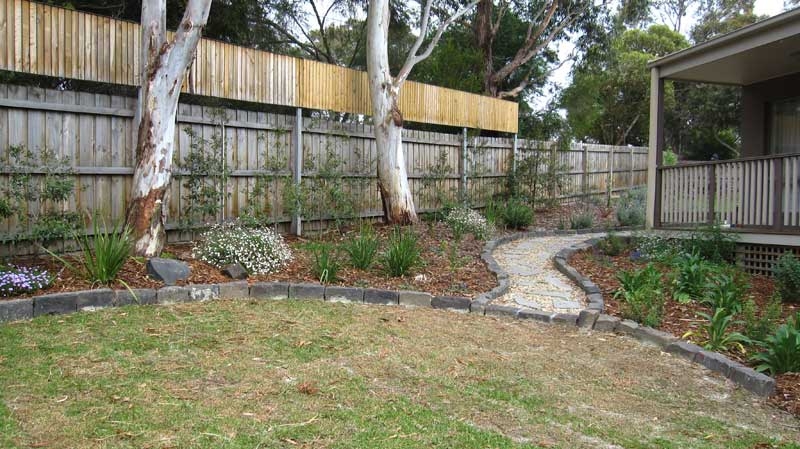 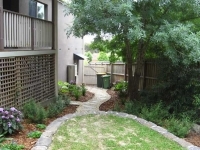 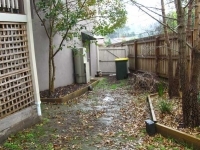 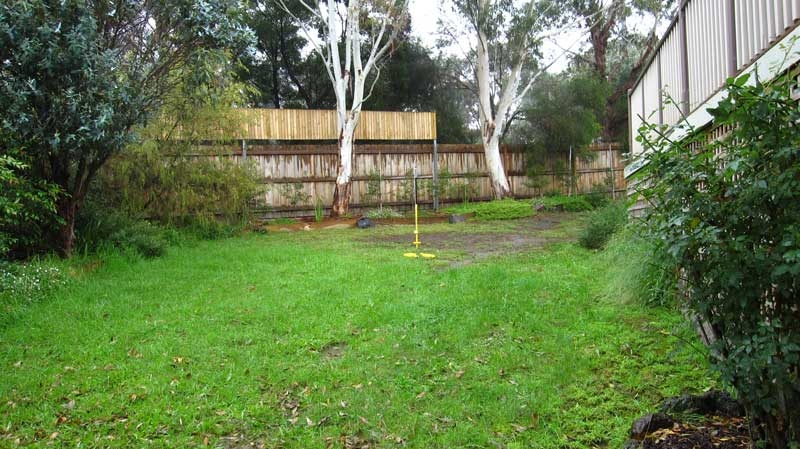 The existing grass was growing poorly, particularly beneath established gum trees. 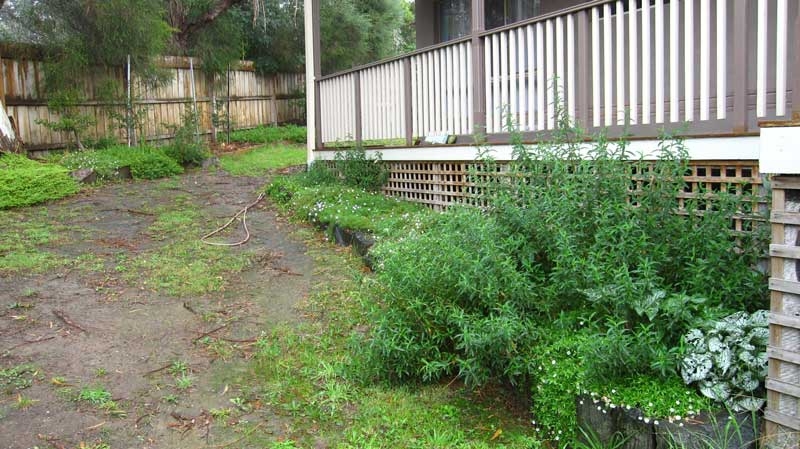 There wasn’t much to draw you down from the deck down into the garden. 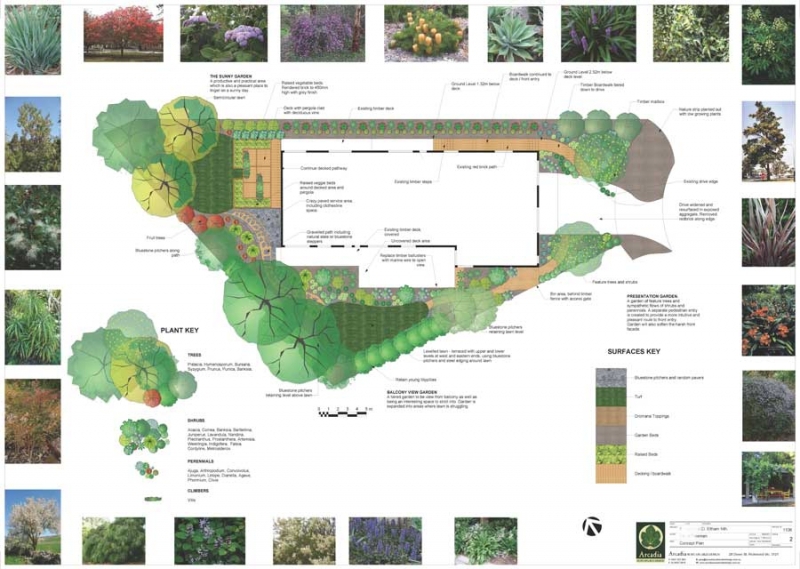 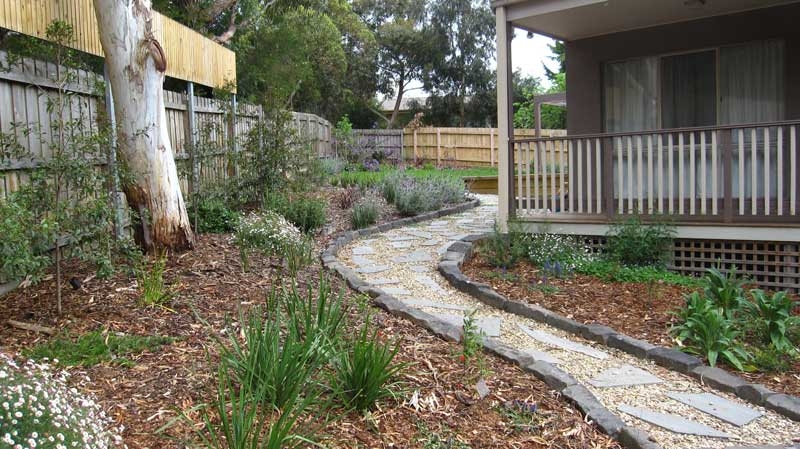 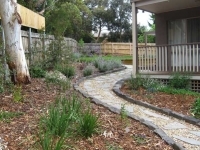 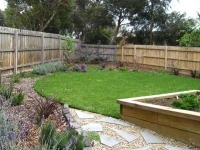 The new garden design altered the levels in the landscape by shaping and terracing a lawn. 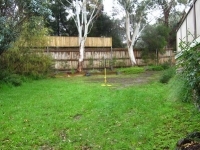 The newly leveled lawn retained heavy water flow, keeping it green and healthy while eliminating dangerous, muddy slopes. 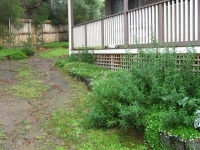 The rear garden on the northern side was a bit neglected. 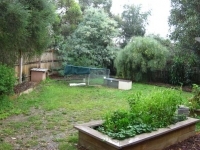 It had a clothes line and a couple of veggie beds, but there was not much reason to go there despite having the best aspect in the landscape. 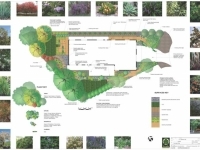 We designed a productive garden zone by wrapping new raised veggie beds around a timber decked area, beneath an open pergola draped with a grape vine. 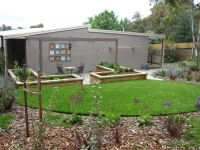 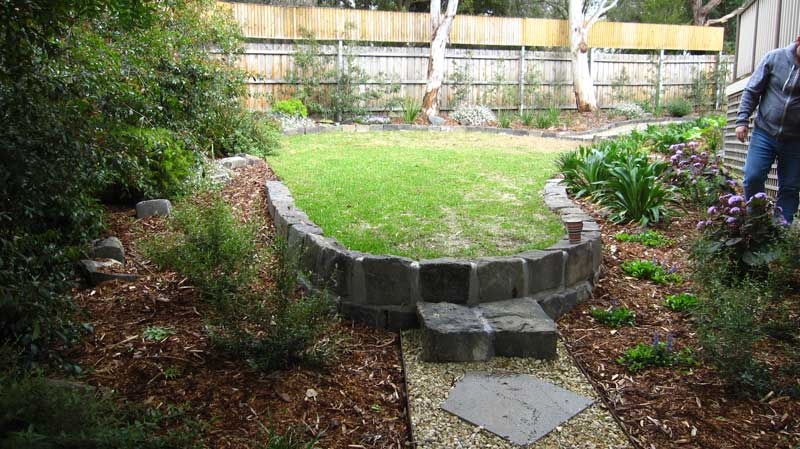 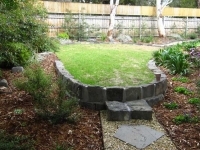 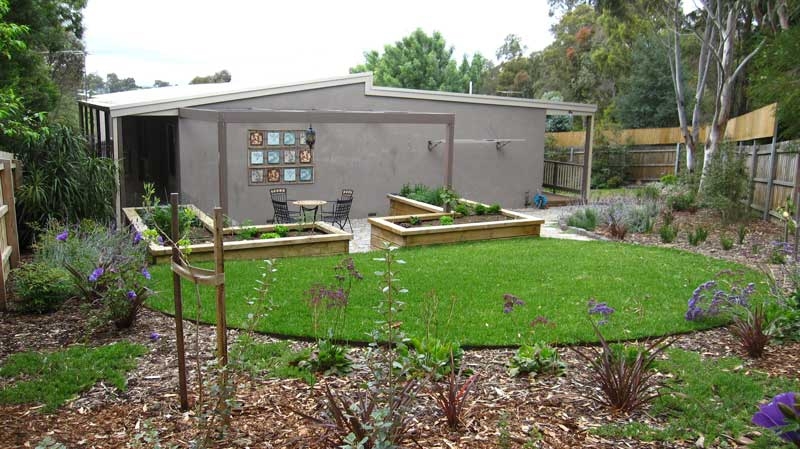 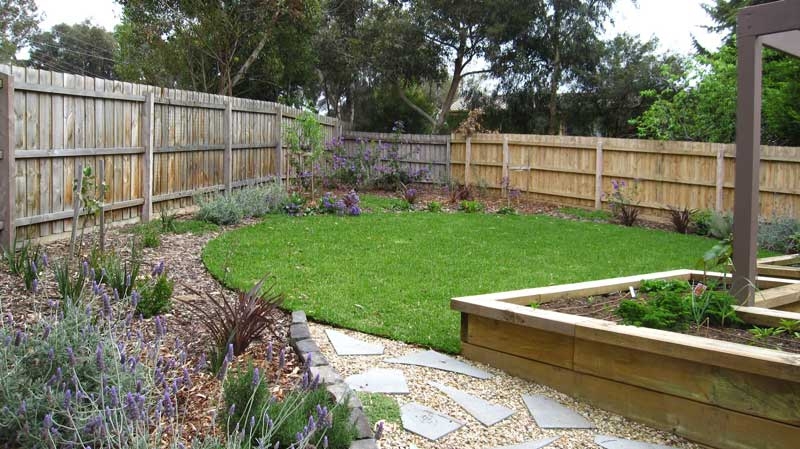 A newly shaped semi circular lawn is rimmed with garden plantings including fruit trees. 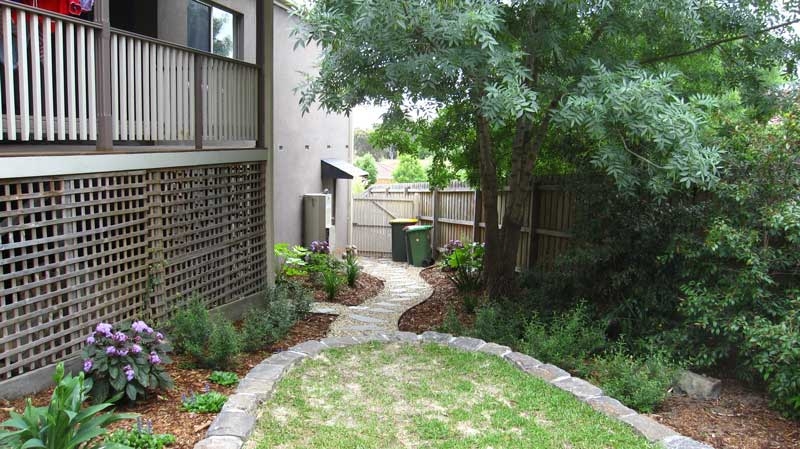 This provided a charming new living space that took advantage of the sunny aspect.